Dust Upvote Initiative aims to curate and upvote quality content creators. The following content promotion is done for the selected content creators of the Dust Upvote Initiative. These are the content creators selected at the moment who will receive daily one upvote from the dust upvote initiative. Dust Upvote Initiative is supporting a total of 325 content creators. 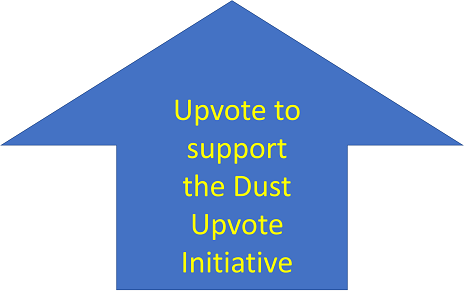 Selected content creators can provide support and help to the Dust Upvote Initiative by upvoting this post and following this account but it is not a requirement to stay on the list. You can also send any amount of SBD or Steem with the memo ‘Donation’. This experimental project is made possible with the support of @fun2learn. You can visit @fun2learn to see what are the interesting educational content that he writes daily.